Hope you're having a great first week of Autumn and your September has been wonderful. and the color is Brown! Now, with this happily being Fall we can find all the different shades and hues of brown, from beiges to taupe to khaki to chocolate. Show off your Mochaware, your Teddy Bears, and your Colonial design Pyrex. How about that Mixed Media in sepiatones? What about that tea or coffee dyed creation? What about that Victorian Mahogany Bedroom Suit? Visit this page HERE if you'd like some ideas for color choices. Brown isn't just plain anymore. The Linky is up and running. It's easy to use. 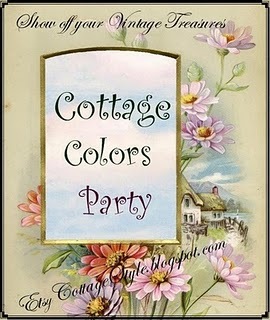 After you have "published" your Cottage Color post on your blog, stop by Etsy Cottage Style Here and put your name and the permalink to your post into the Linky sign up box. What is a permalink? A permalink is the direct link to your post, as opposed to your general blog address. 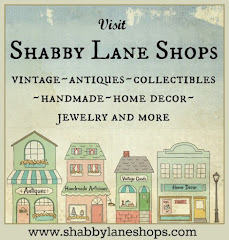 When someone visits Etsy Cottage Style during the week and clicks on your link, they will be taken directly to your Cottage Color post instead of having to search through your most recent posts to find it. There are two ways to get your permalink. One way is to click on the title of your Cottage Color post, then right click on the URL address showing in the address field at the top and select Copy. Then paste this link into Linky which will be available here. Click on "Enter" and you are all done! You will see your permalink posted. :-) Or, another way to add your link for Linky is to right click on the title of your Cottage Color post, select "copy shortcut" and then paste this link into the URL box on the Linky sign-up. Also if you'd like to know more about Etsy Cottage Style go to http://etsycottagestyle.ning.com. Your header is absolutely gorgeous - the BEST one I've ever seen. YUM. I L-O-V-E it. Will you share who designed it? Thanks. Happy Labor Day and Welcome to Market Monday!